Recent items available for purchase. Our next Art show ‘Summer Mix’ salutes the end of Summer and explores seasonal change. 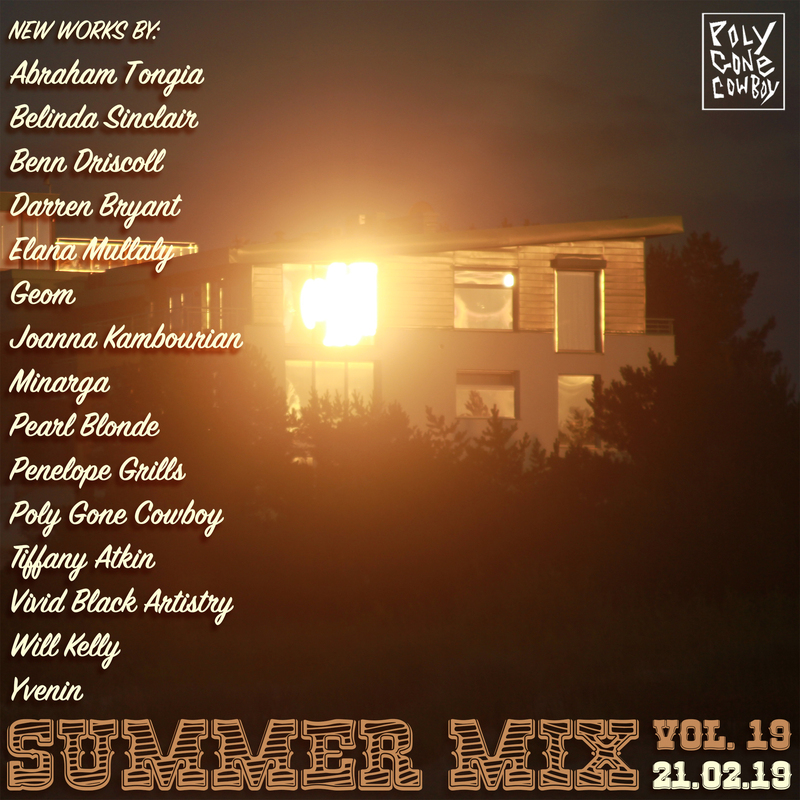 Featuring sizzling new works by: Abraham Tongia, Belinda Sinclair, Benn Driscoll, Darren Bryant, Elana Mullaly, Geom, Joanna Kambourian, Minarga, Pearl Blonde, Penelope Grills, Poly Gone Cowboy, Tiffany Atkin, Vivid Black Artistry, Will Kelly, Yvenin. ‘Introduction to Screenprinting’ our original monthly screenprinting workshops have been running in Brisbane since 2014. This class introduces the basics of DIY screenprinting using photographic emulsion stencils. The workshops are informal and relaxed with an emphasis on sharing the creative potential of the screenprinting process. This half day workshop runs on Saturdays and includes all materials (including a t-shirt or tote bag to take home). ‘Paper Print Editioning’, this workshop is run over 4 weeks and is the follow up to the ‘Intro to Screenprinting’ class. In this workshop we focus on teaching design and printing skills required to produce an edition of paper prints using up to 4 colours. The workshop covers screenprint artwork design fundamentals, creating colour separations, registration techniques, printing tips and much more. Participants get to take home an edition of 10 paper prints featuring their own original artwork. Workshop runs over 4 Wednesday evenings 5:30pm – 8:00pm, all materials included, limited places available. ‘School Holiday Screenprinting Workshops’, our 2 hour school holiday silkscreen printing workshops introduces the fun of screen printing. Participants are able to screen print a multi coloured design onto a tote bag or t-shirt using pre-prepared screens. This workshop runs during the Queensland school holidays, all materials are included, suitable for ages 8+. ‘Private Screenprinting Workshops’, these half day or full day classes are perfect for small and large groups or for tailored one on one screenprinting tuition. Times and dates can be scheduled to suit participants. The classes are also a great team building activity and can include printing your own team or business shirts. Bookings essential, phone or email for further info. ‘Off-site Workshops’, can’t make it into our Norman Park studio? No sweat, we love to travel. We have run workshops at Schools, Art Centres and public events across the country, including: Campbelltown Art Centre, Brisbane Street Art festival, Cooktown High School, Gatakers Artspace, Aurukun Art Centre, Busby Public School, Cairns High, Institute of Modern Art, Iona College, Badu Art centre, ZICS Zine Symposium, Lockhart State School and many more. From 1 hr screenprinting demonstrations to a 10 day editioning residency or production workshop, email for bookings and more info. Poly Gone Cowboy is a multifaceted creative business based in Norman Park, Brisbane. 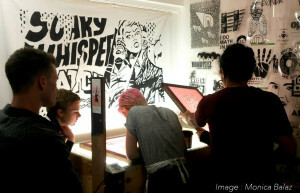 A boutique screenprinting studio that provides regular workshops and custom screenprinting, as well as collaborations with local Artists and Designers to present exhibitions and creative merchandise.